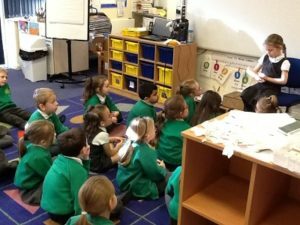 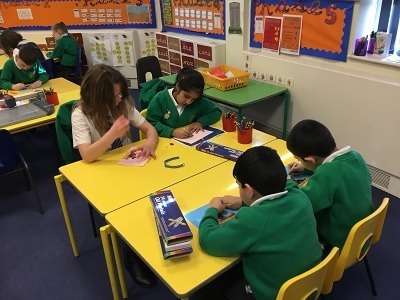 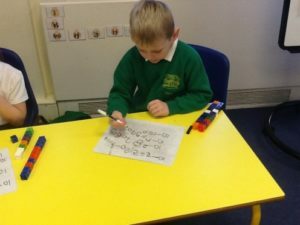 In Year 1 we work really hard with our Phonics every day so that we can improve our reading and writing. We also do Maths and English every day and we use lots of practical equipment to help us with our learning. 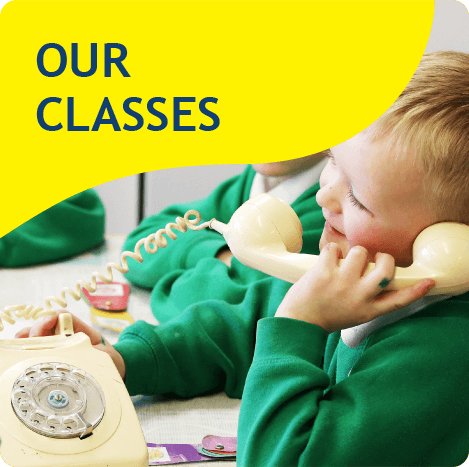 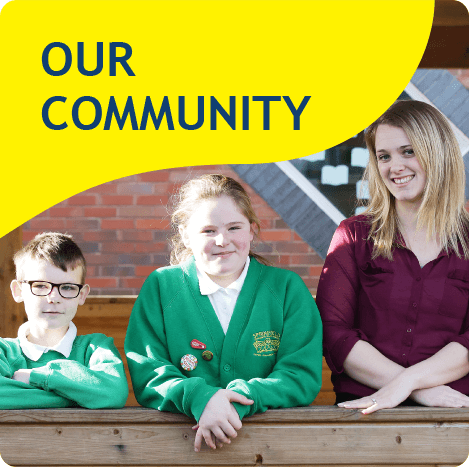 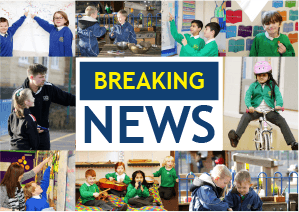 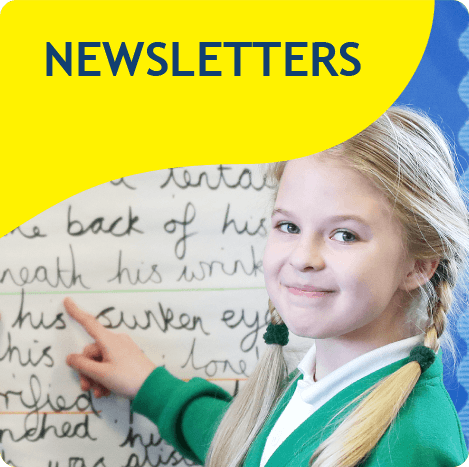 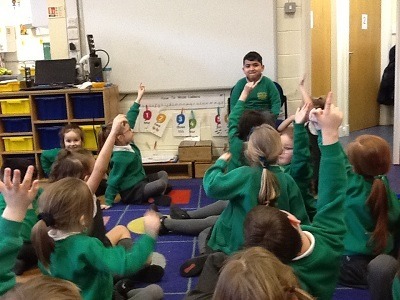 In the afternoons we do Science, History, Geography, Art, DT, Music and PSHE lessons, so we are always very busy! We do spelling tests every Friday and have PE lessons twice a week. 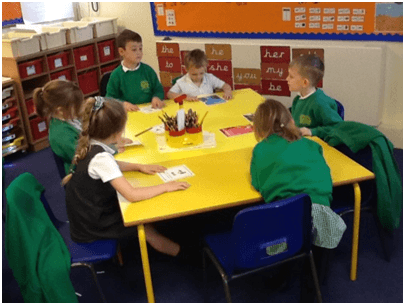 Homework is given out at the start of each term. We have enjoyed doing lots of Art work this half-term. 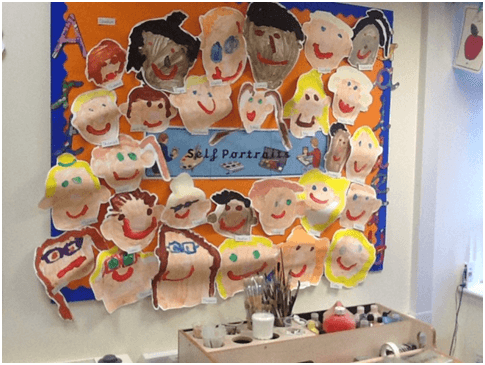 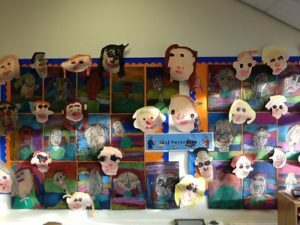 We started with self-portraits and experimented with lots of different mediums. 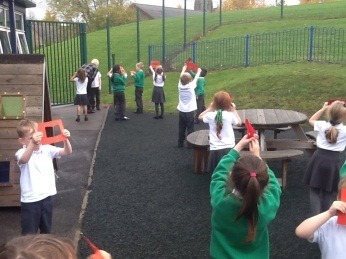 Then we moved onto Street Art which was great fun! 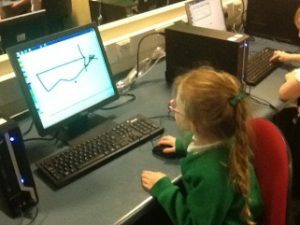 We have loved our Computing lessons this half-term. 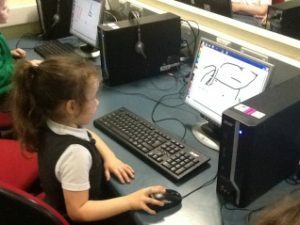 We are getting better and better at using the mouse and typing. We have also enjoyed using Purple Mash. In English, we have been trying to get our handwriting nice and neat as well as including correct punctuation in all our writing. 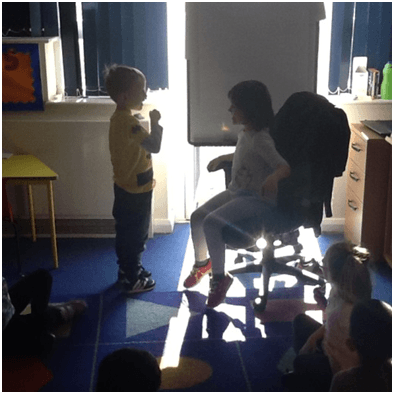 We have also taken part in lots of drama activities including hot-seating. 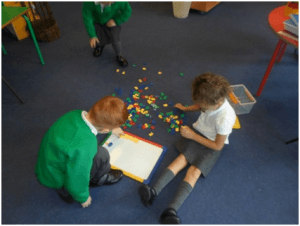 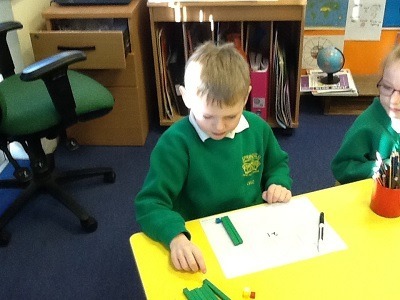 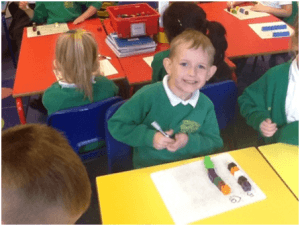 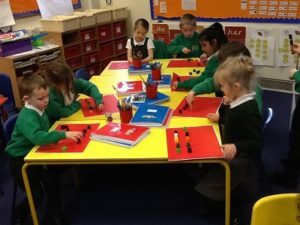 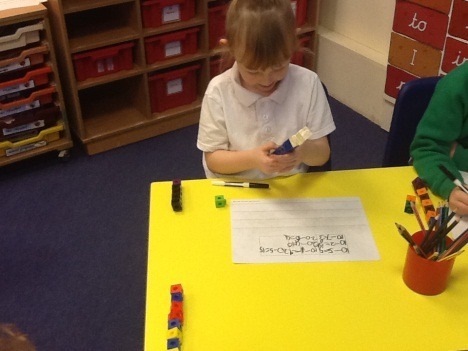 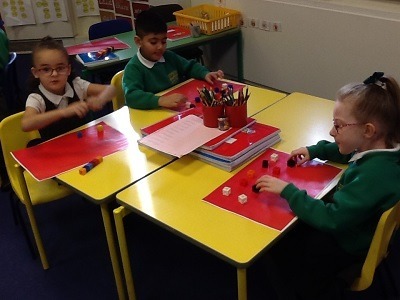 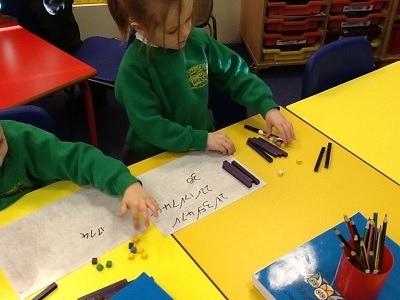 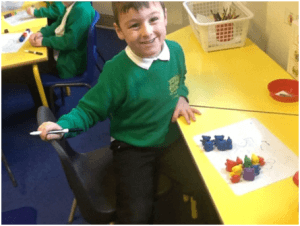 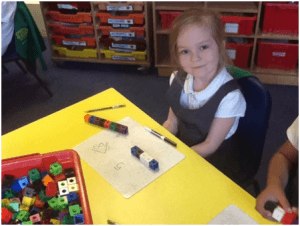 In our Maths lessons we have been consolidating our number and place value work. 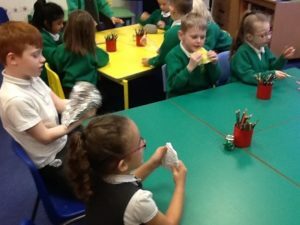 We have been learning all about materials in our Science lessons. 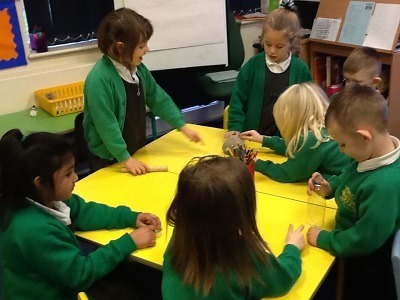 We have been investigating different materials and trying to work out what different objects are made from. 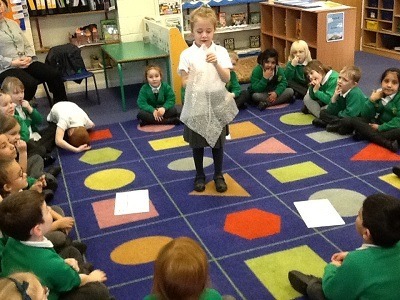 We also did an experiment to work out which would be the best material for an explorer to wear. This half term we have loved learning about the weather and the seasons. 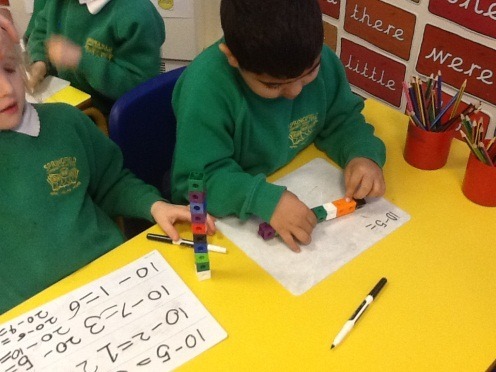 Our learning has taken us outside most lessons so that we could see things first-hand. 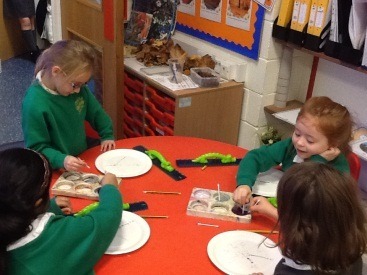 In Art, we have been looking at the work of Kandinsky and trying to create pieces of art work in the same style. 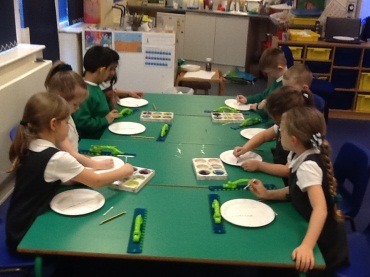 We have also started doing some Winter and Christmas crafts. 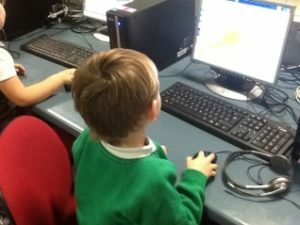 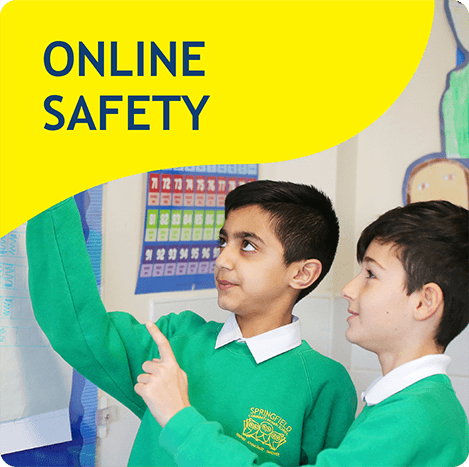 The children have been really enjoying their Computing lessons. We have been working on mouse control and typing so far. 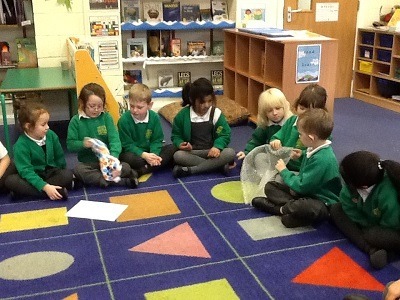 In English, we have enjoyed reading a variety of stories about princesses and dragons! 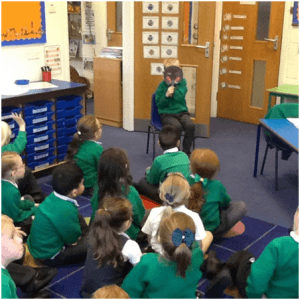 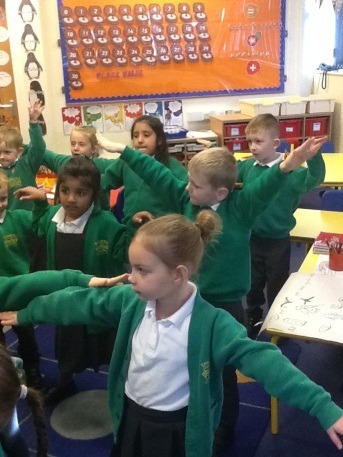 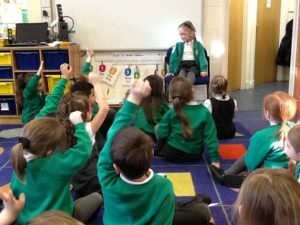 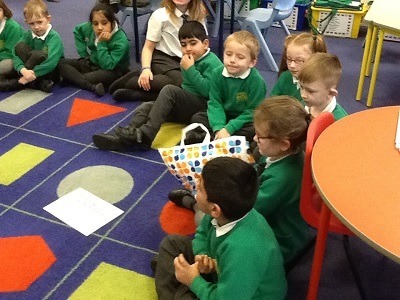 To help us understand about the characters more we did some hot-seating. 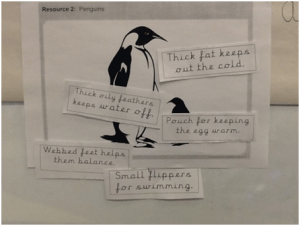 We also read poems about penguins and learned one with actions. In Maths, we are still learning lots about place value as well as addition and subtraction. 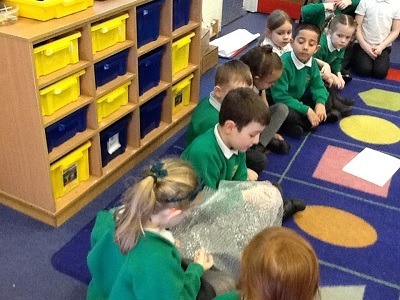 We have also been finding out about explorers in History. 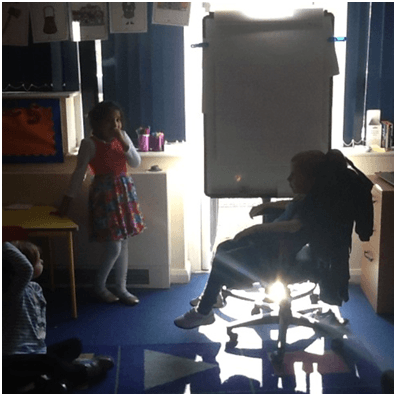 So far we have learnt about Ranulph Fiennes and Amy Johnson. 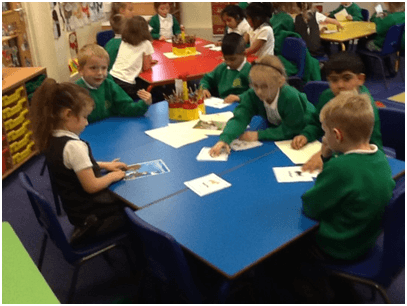 In Geography we have continued our learning about hot and cold places. 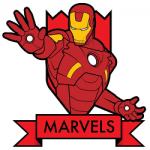 The Little Marvels have had an extremely busy start to the year. 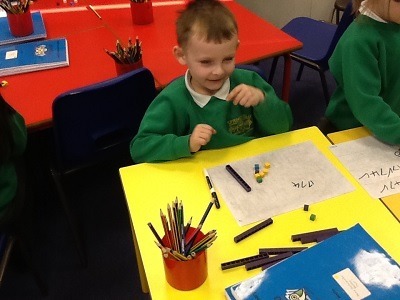 In Maths we have been working hard to get to grips with Number and Place Value. 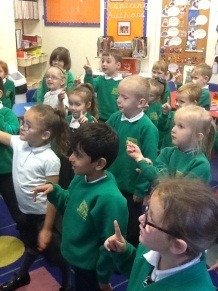 For our English lessons we have been reading the story Lost and Found by Oliver Jeffers. 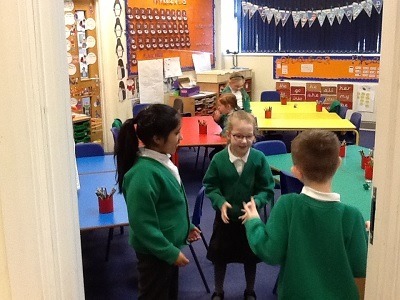 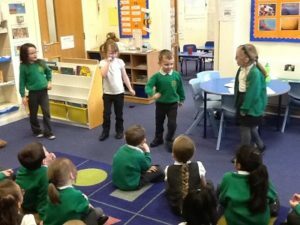 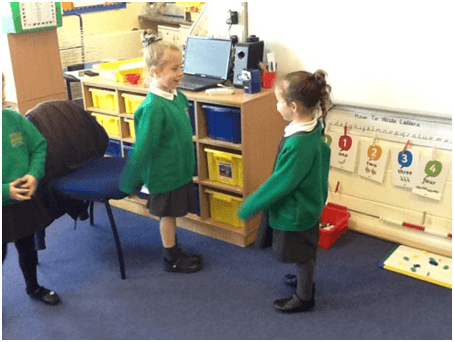 We have done lots of drama activities such as hot-seating and role-play. 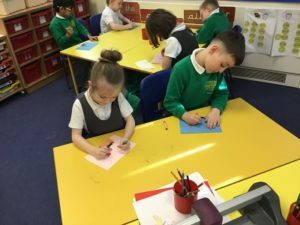 The children have written about the story, written a diary extract and finally wrote their own version of the story with their own changes. 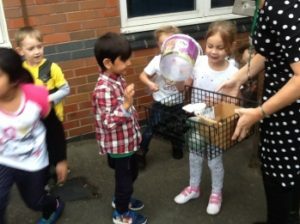 In Science, the children have been learning all about animals. We have identified and named lots of animals, learned the terms herbivore, carnivore and omnivore and identified the structures of different animals. 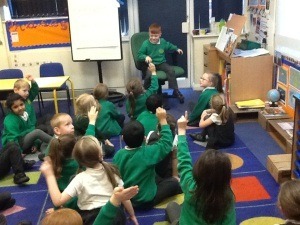 Our History lessons have been all about the Great Fire of London. 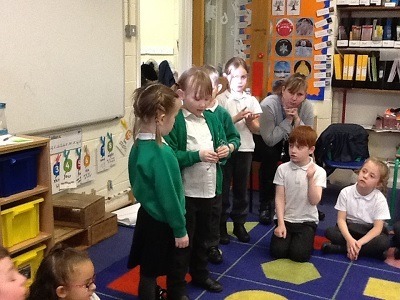 The children have enjoyed learning about life in 1666 including what houses were made from and how they were built. We have also learned about Samuel Pepys as his diaries are one of the reasons we know so much about what happened. 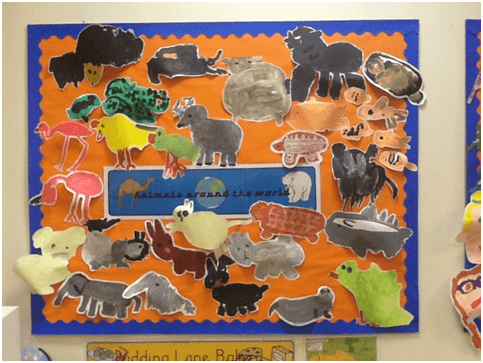 Our learning in Geography has been all about animals around the world. For example, we have learned about penguins living in the Arctic to camels and how they are adapted to the Sahara Desert. 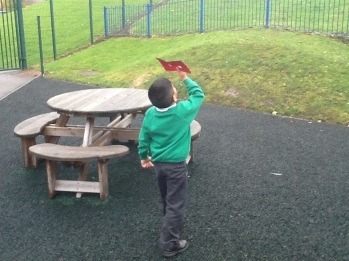 In DT the children have designed and made their very own moving picture cards. 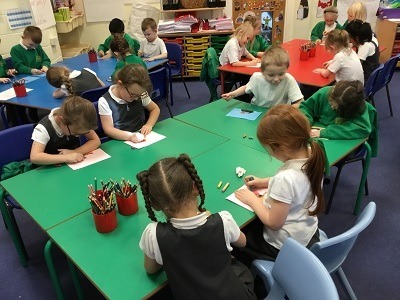 We have also studied the work of Henri Rosseau in Art as well as attempting to sketch penguins using different mediums including pencil and charcoal. We have also painted self-portraits and animals linking in with our Science and Geography learning.